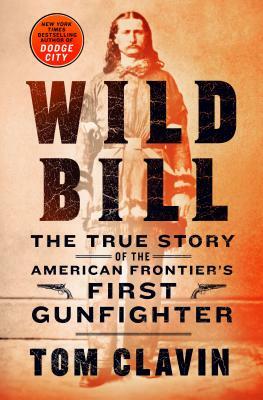 Wild Bill: The True Story of the American Frontier's First Gunfighter (Hardcover) | Fountain Bookstore, Inc.
A lot has been written and said about Wild Bill Hickok, one of America's first big post-Civil War celebrities, that it has become hard to separate truth from the reality of the man. The fastest gunslinger in the West became something of a legend in the mid-late 1860s when he first gained national attention and though many of the stories are very fabricated, Tom Clavin shows us that even the truths about the man are pretty impressive. He played many roles in his life, farmer, wagon driver, scout, solider, US Marshall, constable, but regardless of what he was up to, he was always in the thick of it, prone to and unafraid of danger. An exciting account of an exciting character!